Image by photosteve101 used under the Creative Commons license. Summer is finally here and after being bundled up all winter it might take a little bit longer to get your skin looking silky smooth. If you have sensitive skin then navigating the world of lady shavers becomes even more complex, if you’ve ever tried browsing the aisles of Tesco or Target you’ll know the huge amount of options available. The last thing you want after all that effort is ending up covered in nicks and rashes. So here are some of our top tips for making shaving go as smoothly and pain free as possible. In terms of time of day, some sites will tell you that morning is the best time of day to shave, others will tell you that the time of day doesn’t really matter, but one thing they do all agree on though is that you should wait until the end of your bath or shower before you start shaving. The steam and warm water help open your pores and make your hair as soft as possible, making it easier to remove. Exfoliating first is also a good idea, to remove any dead skin or anything which may clog up or block your razor. 1. Do I really need to use shaving foam? The overwhelming consensus on this is yes. While it is possible to dry shave, it will not last as long, and you run the risk of irritating your skin, developing a rash or cutting or nicking the skin, which arguably defeats the purpose of shaving in the first place. If you are in a pinch, say in a hotel or away from home where shaving foam or cream isn’t available then conditioner will do to help the razor glide smoothly. 2. What kind of razor is best for me? A lot of this comes down to personal preference, some women use manual razors, others electric shavers or epilators (while the latter two will have longer lasting results, epilators do have a certain amount of pain involved). If it is your first time shaving the best place to start is to ask your mom, older sister or friend for advice, with so many lady shavers on the market it can seem a daunting task to take on alone. 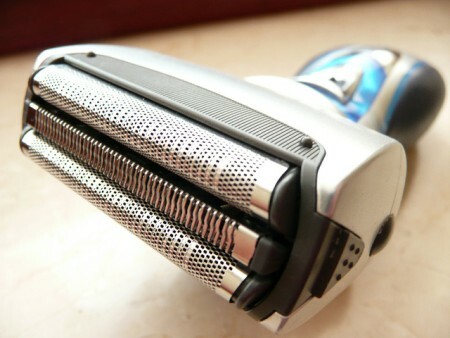 Manual razors are still the most popular and ones with multiple blades definitely give the closest shave. 3. How to get started. After cleansing and exfoliating (which also helps to combat ingrown hairs) it is time to get started. When shaving your legs it is best to start from the ankle and work your way upwards, against the growth, some women just shave up to their knee, others the whole leg — neither is right or wrong, it’s entirely up to you. Your underarms are slightly different and you must tackle from every angle to get the best shave possible. 4. Post-shaving care. Once you have come out of the shower or bath, gently pat yourself dry and then it is best to use an alcohol free moisturizer to avoid any unsightly red bumps or rashes. Follow all these steps and you can step out with the confidence that comes with having perfect pins. *Please see my disclosure policy regarding provided content.